His next project will be launched in New York this week, as an "open-air museum" centered on immigrants and refugees. 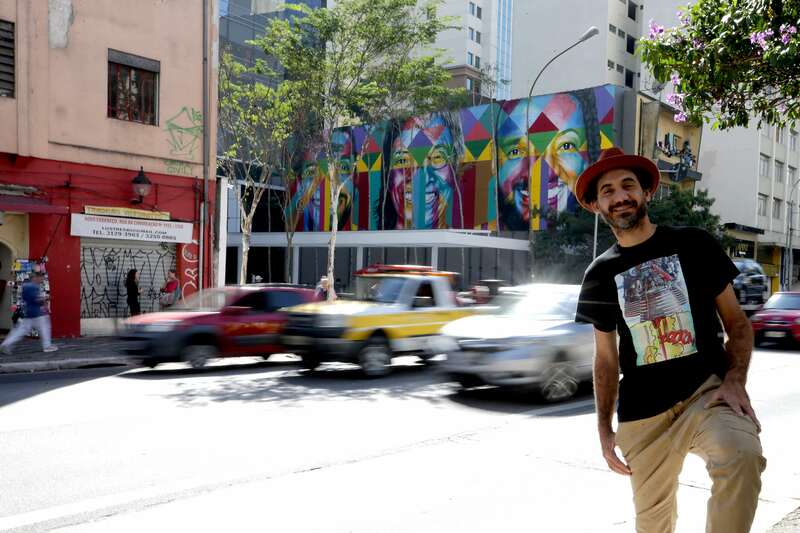 World-renowned Brazilian graffiti artist Eduardo Kobra unveiled his latest mural "Ethnicities, Unity Among Peoples and Peace" here this week as a tribute to the "common," nameless people of Brazil who have helped "build the country." The mural stretches 7.22 meters (23.7 feet) tall by 27 meters (88.6 feet) wide - which, by Kobra's standards, is considered a modest size - and depicts different types of workers, who have played a very "important and relevant" role in "building the country," Kobra told EFE in an interview. "We looked for a small sample of all these people who represent Brazil's working class," so that every one of them "may feel valued and represented in the mural," he said. Throughout his 30-year career, Kobra has ruffled his fair share of feathers by addressing an assortment of "sensitive" subjects in his artwork, including racism, prejudice, peace, migration and the plight of refugees. "I move around in this universe of issues that trouble me deeply and I use walls to express myself, in some way making people reflect upon them," he added. Amid tensions caused by United States President Donald Trump's "Zero Tolerance" immigration policy, Kobra will travel to New York in a few days to unveil his latest project: an "open-air museum" in the streets of New York. This "complex project" three years in the making features 28 murals scattered across the city, which are expected to showcase the essence of Kobra's work and his take on the issue of immigrants and refugees, as well as the history of the city, which he considers to be "the world's capital."